Microservice-based architecture has long since established itself as the backbone for organizations seeking both safe and fast software. The advent and ubiquity of microservices naturally paved the way for container technology, the growth and implementation of which has empowered organizations to rethink how they build and deploy applications. Since its inception in 2014, Kubernetes has revolutionized the IT industry, serving as a game-changer for cloud migration and becoming a critical tool for shipping applications quickly, at scale. However, with innovation and speed come challenges that can’t be ignored. Kubernetes is an open source container orchestration system for automating deployment, scaling and management of containerized applications. Launched by Google in 2014, Kubernetes has emerged as the industry leader—many companies containizering their applications with Docker are absolutely going to use Kubernetes for orchestration. While Kubernetes has made it much easier for companies to manage their containers, such as scheduling and provisioning them while automatically maintaining a desired state, there are key challenges to address when it comes to monitoring both Kubernetes itself and the applications running on it. Applications Distributed Across Multiple Clouds: Initially, many companies deployed a multiple cloud strategy to avoid vendor lock-in and stay cloud-agnostic. The Catch-22 is, most of the value comes from the cloud provider’s specific features, but by fully leveraging these features you’ve locked yourself in. However, there are many advantages behind a multi-cloud strategy, which is why it’s so common. It’s seen as a way to prevent data loss or downtime due to a localized component failure in the cloud and distribute assets, software and applications across multiple cloud-hosted environments to avoid the risk of it all being in once place. However, the challenge is monitoring and controlling your cloud resources to truly reap the benefits. No matter the size of your deployment, you still need to know the health of your resources at any given time. Without that information, you’re burning money on cloud infrastructure and there’s a very good chance your customers aren’t having good experiences, resulting in lost revenue. To truly address the challenge, you must find a monitoring system that can control and provide the health of your deployed applications and containers at any given time. Constant Movement: In this new dynamic era, applications are constantly moving. Kubernetes at its core is meant to serve as a common platform that organizations can use to deploy applications wherever they run. Whether it’s Amazon Web Services (AWS), Google Cloud Platform (GCP), Azure or bare metal, Kubernetes is built to manage these containers and keep them organized in their desired state. However, the power and automation required for keeping these applications running smoothly has presented a challenge of monitoring their performance and availability. With constant movement of multiple applications, it can be difficult to have complete visibility across every system and protocol at any given moment. The majority of established companies have multiple applications within their infrastructure, making this challenge nearly unavoidable. Without a strong monitoring system, you miss out on visibility and burn money. Organization: Many have heard about the merits of treating infrastructure like cattle as opposed to pets. With pets, you’d be hurt by their loss, whereas cattle is easily and predictably replaced (and there’s generally more of them). Kubernetes is the epitome of this livestock approach, making it easy to implement high-volume and ephemeral infrastructure. Many organizations feel challenged to keep their multi-cloud strategy organized in a way to have full visibility into their containers. 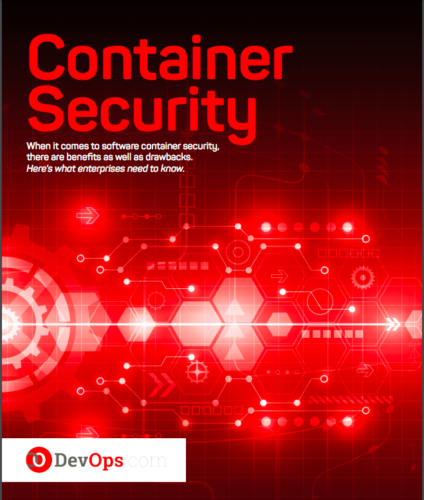 Companies should strive to stay organized and maintain that visibility, keeping track of Kubernetes pods and their containers through identifiers such as labels and annotations (which can inform your monitoring solution). Just as microservices led us to rethink how we build our applications, Kubernetes requires we change our traditional approach to monitoring—the dynamic nature of container orchestration insists on a subsequently dynamic approach to monitoring. Once organizations can gain visibility into their infrastructure (and all the moving parts therein), they can take control of their multi-cloud strategy to reap the many benefits that Kubernetes has to offer. Sean Porter is the creator of the Sensu project and the co-founder and CTO of Sensu Inc., a leader in open source monitoring. Sean is a seasoned systems operator and software developer with over a decade of experience in automating infrastructure. As CTO of Sensu Inc, he oversees the development of Sensu, and works with users to better understand how Sensu can help them solve complex monitoring problems.